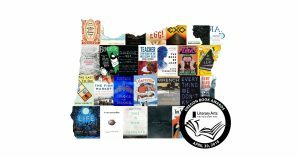 I’m an Oregon Book Awards Finalist! I’m beyond thrilled to see my book on the list of finalists for this year’s Oregon Book Awards! Five years ago, when I was trying hard to do the things I thought real writers did, I submitted 25 pages of a manuscript I was working on to the Oregon Literary Arts fellowship program on a whim. Miraculously, I was awarded the Edna L. Holmes Fellowship in Young Readers Literature. I used the monetary gift they so generously presented me to attend a retreat that helped me shape that manuscript into THE TRAGICALLY TRUE ADVENTURES OF KIT DONOVAN. 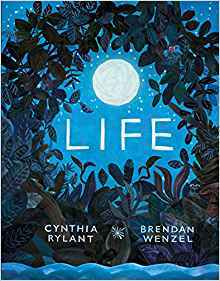 And now, that book is up for an Oregon Book Award! Talk about full circle. It’s a real honor to be listed among the finalists for the ELOISE JARVIS MCGRAW AWARD FOR CHILDREN’S LITERATURE. The books are all incredible, and I wanted to give a shout out to each of them. 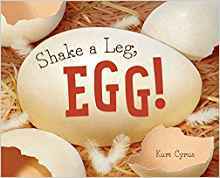 From celebrated author-illustrator Kurt Cyrus comes a playful and whimsical picture book that celebrates the excitement and anticipation of a soon-to-be-born baby. It’s springtime, and the pond is bursting with new life. There are beaver pups, heron hatchlings, and lots and lots of ducklings. Everyone is out and about, swimming, flapping, chirping, and quacking—except for one family of geese. When, oh when, will their last little one break on out and join the waiting world? Twelve-year-old Chloe Ashton is an only child living in the remote wilderness of Oregon. She spends her days happily exploring the forests around her home, and is astonished to find the animals seem to know her, to follow her, and even try to speak to her. When a family tragedy results in Chloe’s abduction and sale to the vagabonds, she is taken deeper into the woods, and finds out just how much the animals know. Set at a time when technology is first touching the west, there is an evil rising in the land. The country is under attack, and all creatures, man and beast, must hide. The old legends speak of an ancient, natural magic deep within the mountains and rivers, and as Chloe struggles to survive, she finds that it still exists deep within the forests. Friendship can be found even in the darkest of places, and it doesn’t always come in human form. 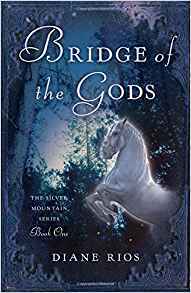 Bridge of the Gods is a novel for all ages about the magical power of nature, and of finding friendship in the darkest of places. 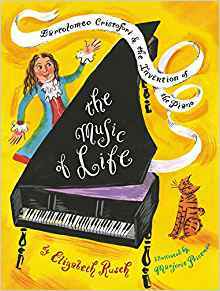 Award-winning biographer Elizabeth Rusch and two-time Caldecott Honor–recipient Marjorie Priceman team up to tell the inspiring story of the invention of the world’s most popular instrument: the piano. Bartolomeo Cristofori coaxes just the right sounds from the musical instruments he makes. Some of his keyboards can play piano, light and soft; others make forte notes ring out, strong and loud, but Cristofori longs to create an instrument that can be played both soft and loud. His talent has caught the attention of Prince Ferdinando de Medici, who wants his court to become the musical center of Italy. The prince brings Cristofori to the noisy city of Florence, where the goldsmiths’ tiny hammers whisper tink, tink and the blacksmiths’ big sledgehammers shout BANG, BANG! Could hammers be the key to the new instrument? At last Cristofori gets his creation just right. It is called the pianoforte, for what it can do. All around the world, people young and old can play the most intricate music of their lives, thanks to Bartolomeo Cristofori’s marvelous creation: the piano. 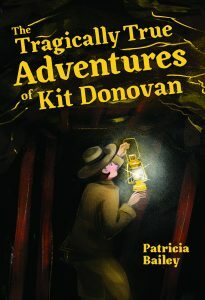 THE TRAGICALLY TRUE ADVENTURES OF KIT DONOVAN by Patricia Bailey. The winner will be announced at the awards ceremony on April 30. I can’t wait to meet everyone and fan girl my heart out. In the meantime, be sure to cast your vote in the Readers’ Choice Award survey! I Wrote a Picture Book!! About two months ago I had a flash of an idea. One of those flashes that come unbidden and out of nowhere and demand you pay attention to them. So I paid attention because I learned long ago that these flashes are gifts – from the universe or the muse or just some part of the unconscious that’s particularly tuned in at that moment – I really don’t know. But I do know that they always lead somewhere interesting. This time the flash led me to do something I never thought I’d do: I wrote a picture book! I never had any plans to write a picture book. It looked hard. Too hard. I’ve read picture books. They are amazing. And impossible. Tell an entire story in 500 words or less and make it smart and funny, poignant and heartfelt, rich and beautiful. The best ones do all this and more. 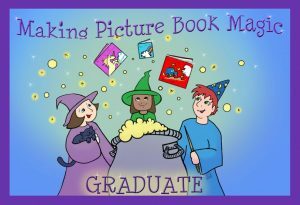 But I had an idea, so when my friend Janet told me about Making Picture Book Magic and offered to retake the course with me, I signed up. Then I dove in with both feet, dedicating time every day to write my picture book. And thanks to Susanna’s awesome lessons, boosts of support from my classmates, and the added gift of Janet’s eagle-eye critiquing skills, I did it! I wrote a picture book. A complete one. And it might even be kind of funny. Maybe. But it doesn’t really matter. What matters is that I honored the flash and took a chance and created something brand new. I played with ideas and tinkered with words and had a blast just writing – with no expectations beyond the simple act of creating something. It was awesome! 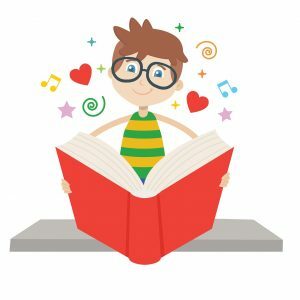 So awesome, I decided to lean all the way and challenge myself to write a picture book each month as part of the 12×12 Challenge. I’m pretty sure it will be difficult and frustrating and exciting and loads of fun. All the best adventures are. I’m excited to be starting 2018 with a completed picture book manuscript, a really fun middle grade work in progress, and a plan. It’s the end of January, what are you excited about?